Veteran bluesman James Harman. Photo courtesy of the New Blues Festival. In 1970, a bright-eyed Harman moved to California and naturally found a home in Long Beach, where blues music was scarce but slowly gaining ground. 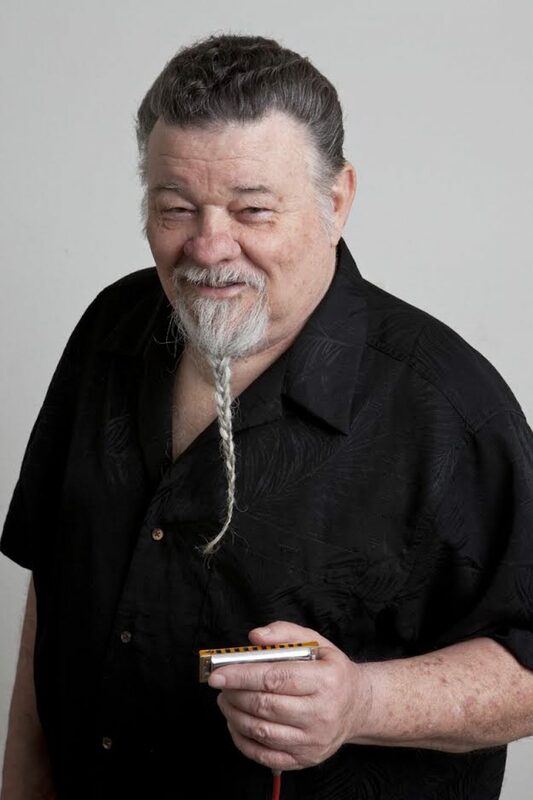 The Alabama-native singer/harmonica player made his rounds performing in all the local venues, including the legendary Battle of the Blues Harps at Golden Sails and The Nugget at Cal State Long Beach. As word of his musicianship began to spread, he and his band—the Icehouse Blues Band—quickly became established at esteemed venues, such as The Troubadour in West Hollywood and The Lighthouse in Hermosa Beach. 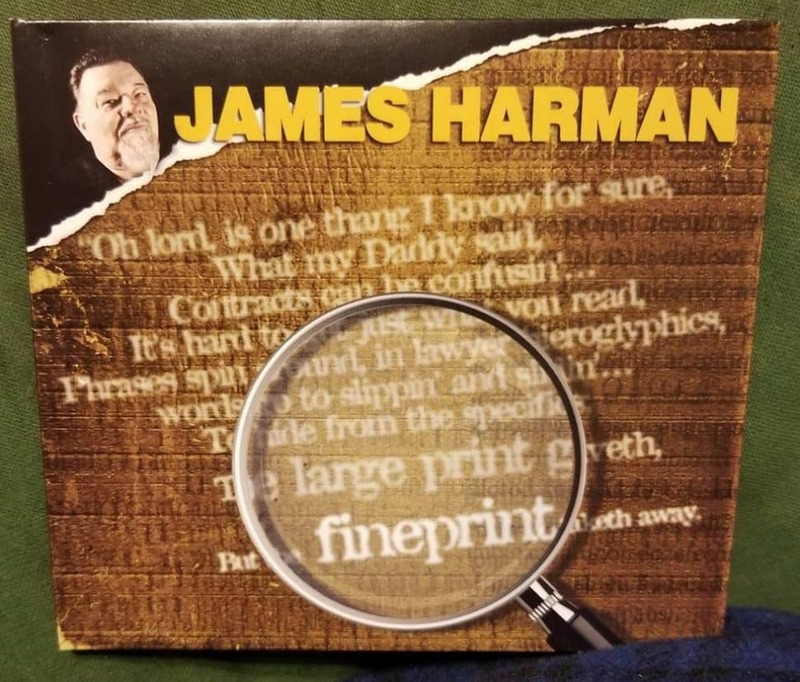 James Harman’s 2018 album “Fineprint” is available on all music platforms. It wasn’t before long that the Icehouse Blues Band—which officially changed its name to the James Harman Band in 1978—began touring internationally in some 30 countries around the world. When the Long Beach Blues Festival kicked off in 1980, Harman became a regular fixture on the lineup, performing every three or four years alongside the likes of The Yardbirds, Peter Green and Koko Taylor. The Long Beach Blues Festival, which was held at CSULB’s athletic field, went on to become among the largest blues festivals on the West Coast before it folded due to economic conditions in 2010. Then, in 2014, longtime Long Beach resident William Grisolia pumped life back into the Long Beach blues scene by launching the inaugural New Blues Festival at El Dorado Park. Presented in conjunction with the Long Beach Blues Society, the 5th annual New Blues Festival will take place this Labor Day weekend on Sep. 1 and Sep. 2, with headliners including the James Harman Band, The Lowrider Band, Janiva Magness, Dennis Jones, the Deb Taren Band and more. The “new blues” alludes to a contemporary form of the genre stemming from traditional American blues, such as Delta blues, country blues and Chicago blues. Similar to the British blues boom in the 1960s, the new blues pays respect to its roots while reinterpreting the music for today’s era. Grisolia says the festival has grown in attendance by 45 percent each year. This year’s festival will be the biggest yet—with 8,000 projected attendees, two stages as well as 30 food and retail vendors. This will be Harman’s second time performing at the New Blues Festival. Harman, who began performing as a teenager, has proven time and again the success of his longevity as a blues musician. In 2014, he was nominated for a Grammy Award and won two Blues Music Awards for his contribution to “Remembering Little Walter,” a tribute compilation album. Then, the following year, Harman released his first studio album in 12 years—called “Bonetime” (Electro-Fi Records)—and raked in five Blues Music Awards nominations. Regardless of his many decorations, however, Grisolia says the reason is simple as to why Harman is frequently invited back to the Long Beach New Blues Festival. Harman says he will be performing with his longtime band, including Nathan James (guitar), Troy Sandow (bass) and Marty Dodson (drums). He added that this upcoming performance will be a little bit different without his percussionist Mike Tempo.